Ignoring the incoming tide a couple discuss some of the finer points of life. 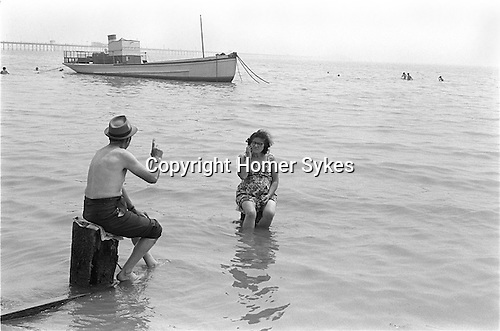 Sir John Betjeman once said that, "The Pier is Southend, Southend is the Pier". It’s the longest pier in the world extending 1.34 miles into the Thames Estuary.